To all you women out there eager to restart your careers, we want you to know that we are just as eager and excited to welcome you back into the workforce! All our efforts are directed towards making the transition to your second career, smooth. So, while we have no doubt you will excel at any job, we also want to make sure that you are up to date with the skills and expertise required for your role. 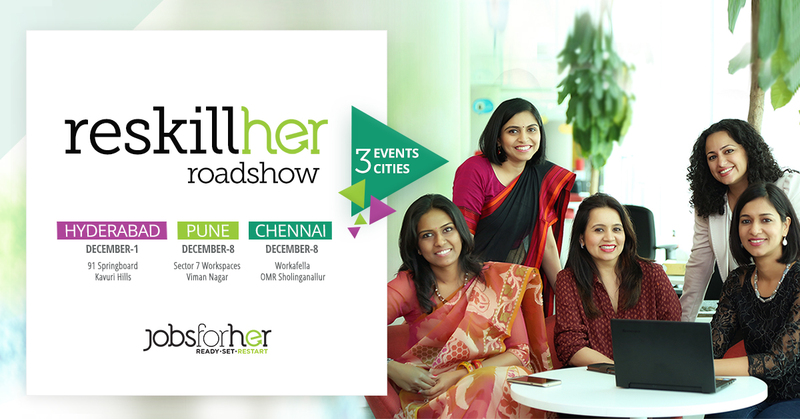 And that’s why we’re back with the ReskillHer Roadshow in YOUR city! Reskilling - Update your skills and gain new ones through reskilling workshops by experts and coaches. Learn how to address defeating self-talk, overcome self-doubt and tap the immense potential within YOU. 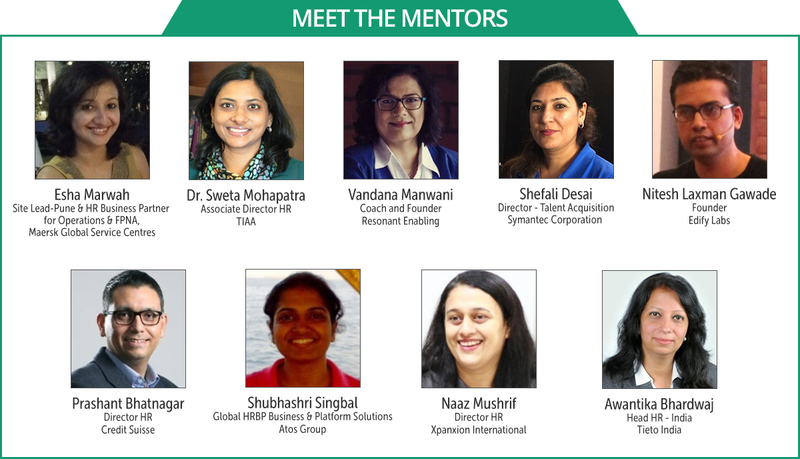 Smriti Goel, who has been through the journey of a 6-year career break to look after her children and relocate to cities around the globe, coaches you in her workshop “Mine For Gold, Within You” about how you can find an EMPOWERED you! - a healthy work life balance, heightened awareness of oneself, handling fears, limiting beliefs and self doubt as well as preparing you for overcoming life and career challenges. This workshop will focus on finding their individual mojo. It will help the participants in creating a brand for oneself. One of the topics discussed will be reinventing themselves after a break. The workshop will be activity based. 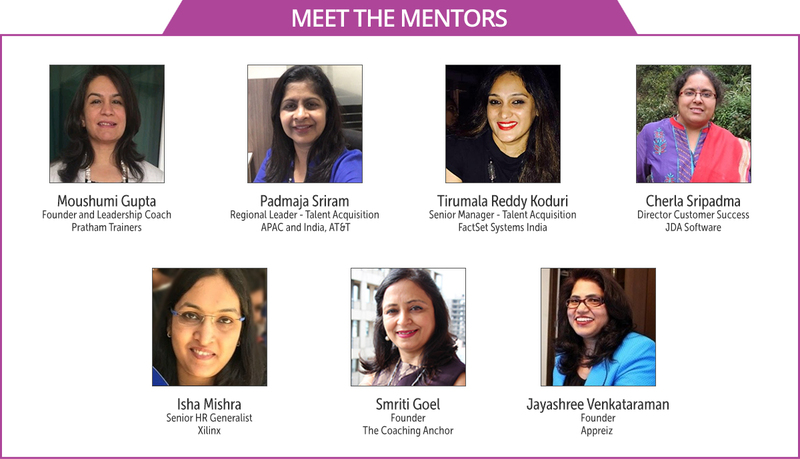 Mentoring - Get invaluable advice and inspiration from industry experts who can guide your career restart journey by sharing their own experiences. 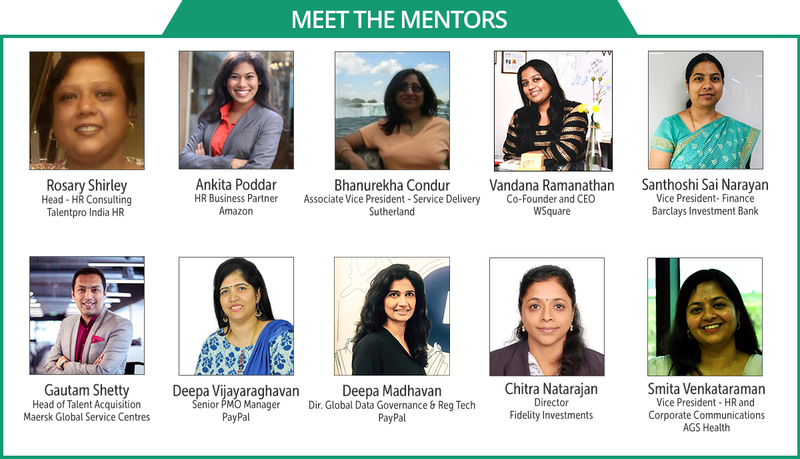 Networking Sessions - Build your network with experts, coaches, and industry leaders, and most importantly, network with other women returnees to build a strong support system. It’s time to Reassess your career, Reskill, and Restart!